Banner ad serving displays ads with the goal to get viewers clicking on them to find out more about the offer on your landing page. Having more clicks means more chances to convert viewers into customers. 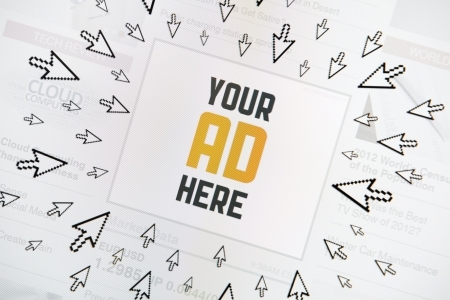 The following 5 tips will help you get more clicks on your banners, which should translate to a better return on your advertising investment. Each website serves a specific niche or industry and has its own specific audience. Therefore, the banner ads that show on that website should also be related to that industry and be relevant to those viewers. The people who visit the website do so because they are interested in the subject matter, so it makes sense that they are generally more responsive to banners that are related to the same niche. When the ad is trafficked via an adserver, make sure to apply the right ad targeting criteria and review the default settings. The best way to get clicks on your banners is to have them shown in a place where they will be easily seen. Additionally, it helps if the banners look like a natural part of the site instead of something that has been wedged in there for the sole purpose of picking up clicks. Many websites have banners at the bottom but this is not ideal if you need more clicks. For best results, premium advertising banners should be placed at the top of the page or in the sidebar. Those ad slots will get more views and also more clicks than those at the bottom of the page. Having a banner in the perfect spot is not always going to guarantee that people will click on it. Many folks need a reason to make that click so make sure you have a good ad copy and attractive visual elements. In addition to that, telling them what to do is a very effective way to persuade that they put the mouse over the banner and make that click. People like having a little direction, and a call to action is a great way to point them where they need to go. While a call to action is a great way to get visitors to click on the banner, it is not going to appeal to everyone. Adding an incentive can sweeten the pot and make it close to impossible to ignore the banner ad. Offering up a freebie, a limited time offer, or a discount coupon as part of the banner text might just be enough to get some extra clicks. The banner ads that you run are not going to all have the same level of success, some ads will perform better than other ads. That is why you need to know their impressions, clicks and click-thru rates. You can obtain these reports from the ad server. In order to get a clear picture of the performance between different ads, you should first have a few of thousand impressions for each one, at which point, the ad effectiveness should start to become clear.